In a perfect world you would see more Harley Davidson café racers like this jaw dropping FXDL. 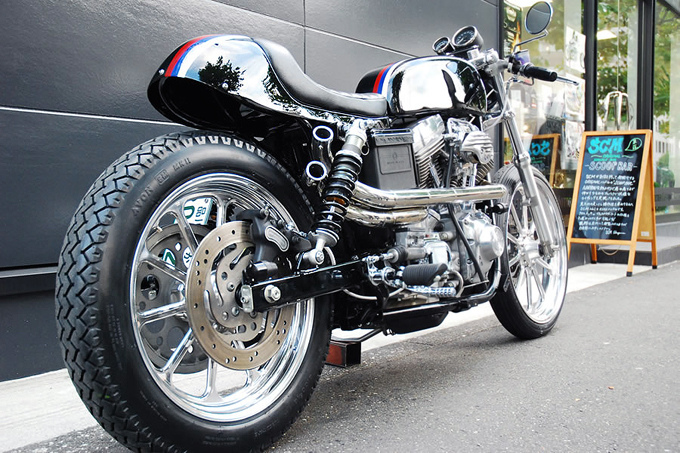 Built by Selected Custom Motorcycles (SCM) who are based in Yokohama – the Japanese region made famous by quality tires. 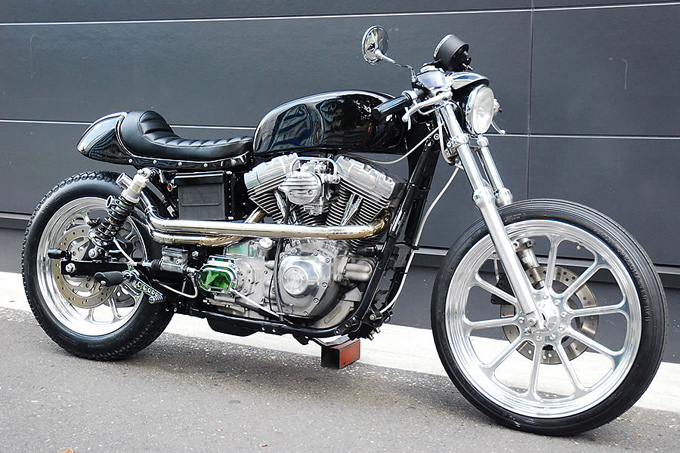 SCM specialise in building Harley choppers, but also like to dabble in café racers. 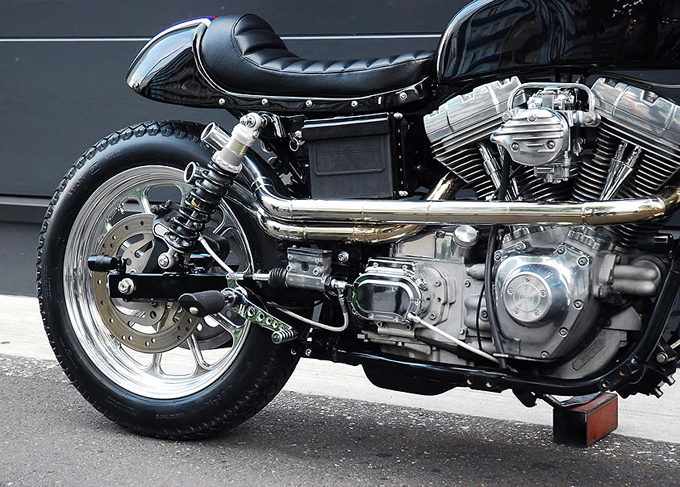 The bike is named ‘Eleanor‘ and she possesses some of the most impressive custom pipes we have seen in a while – the way they curve behind the rear suspension is a work of art. The beautiful pins striped café seat and tank were also custom built by the guys at Selected. You can view more photos of ‘Eleanor’ on her gallery.